A truck is driven on the wrong side of the road and overtakes dangerously on a blind corner. A car overturns after its young driver performs a risky manoeuvre. A BMW zooms past slow traffic on the wrong lane coming up to a corner. These are all incidents of reckless driving that were caught on video by dash cams, placed on social media and which went viral. Haphazard videos such as these, uploaded on Facebook or You Tube, may well help the police prosecute dangerous drivers. 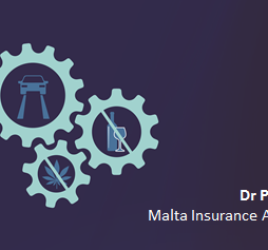 But the head of the Malta Insurance Association, Adrian Galea, believes that having a specific website where to upload and view dash cam footage would go further to reduce recklessness on our roads. In the past few months, a number of outrageous and illegal manoeuvres have made headlines after motorists with dash cams – cameras installed on their vehicles’ dashboards – shared the footage online or with news portals. With more and more drivers opting to have their cars equipped with such …………… click here to read the full article.